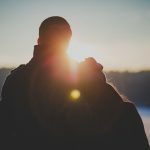 Winter weddings can be a magical departure from the hot summer ceremonies and your menu should be designed to treat all of your guests taste buds. 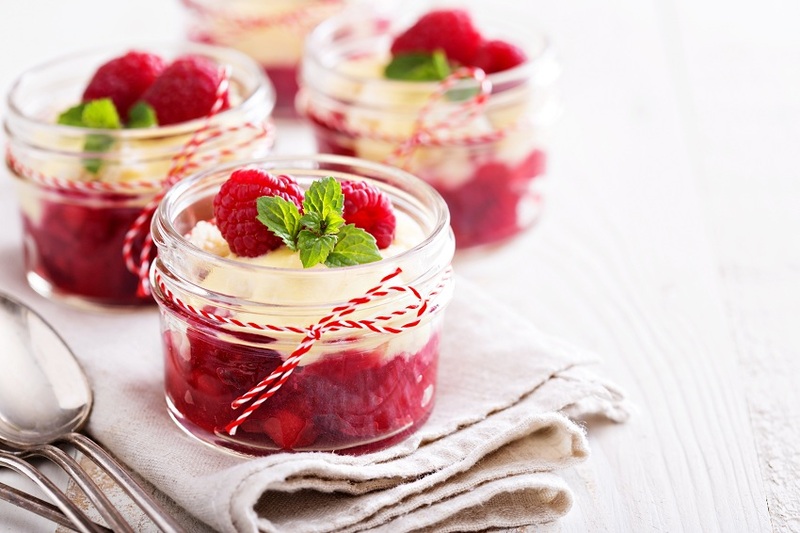 While making plans for your wedding catering, you can always stick to the more traditional for your main entree, but why not mix things up a bit by letting your wedding caterer know that you would like something special to serve for dessert. Keeping things festive yet simple with a variety of cakes, fresh berries and light meringues to add the finishing touches to a fine meal. One of the most talked about aspects of any wedding, aside from the bride’s beautiful dress is the food. Your guests should be able to sit back and enjoy an appetizing meal right from beginning to end. 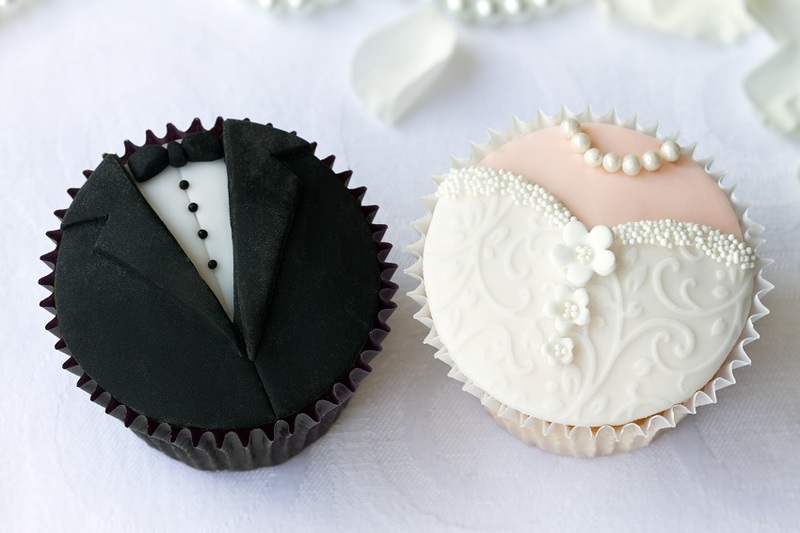 While your wedding cake will have its own ceremony to accompany it, make sure that your guests have a mouthwatering treat to enjoy with their meal. You don’t have to overdo things, just keep it simple and find something that reflects the season and the occasion perfectly. Take a look at 6 of the most delicious and elegant winter wedding dessert options that are sure to be a big hit on your special day. 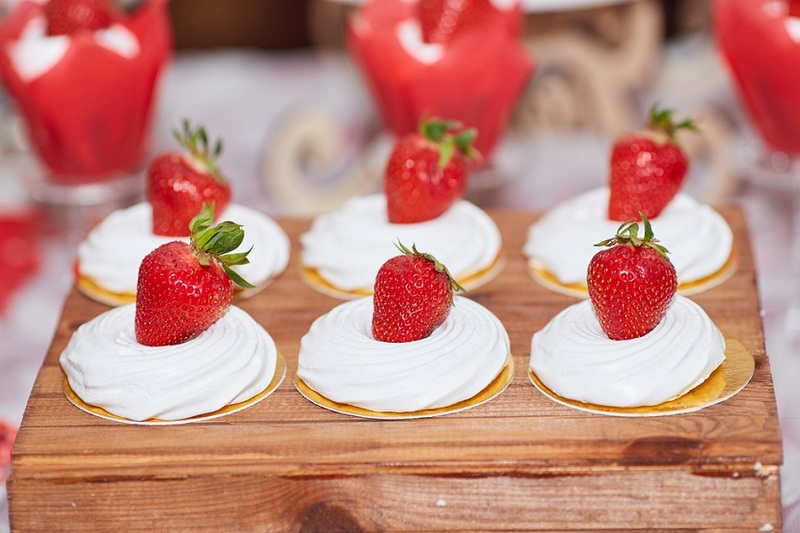 These elegant and simple Meringue Cakes will be sure to tempt any palette. Decorated with your choice of fresh fruit you can even coordinate your berry choice with your wedding colors. This light and fun dessert can be partnered with a sip of champagne to toast with during your speeches. Whether you choose fresh and sweet strawberries, kiwi or cherries, these lightweight cakes are the perfect end to your wedding feast and are sure to be a big hit. Treat your guests to some seasonal favorites with this unique twist on an old favorite. When you are serving your dessert and coffee course make sure to offer this fun and flavorful alternative for those looking to get into the holiday spirit. This sweet and minty warm hottie can be enjoyed by the young and old alike. 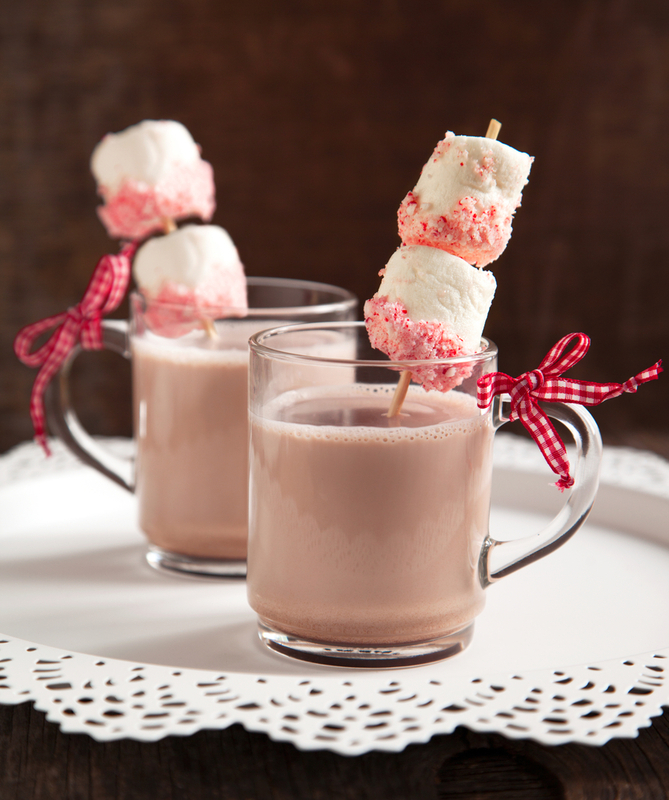 The rich chocolate and fluffy marshmallows will be a huge hit with all of your guests. Enjoy a warm cup of cocoa spiced with the tastes of the holiday season while your guests take in the wedding festivities. This layered and individually served dessert is sure to bring the tastes of the season to every table. 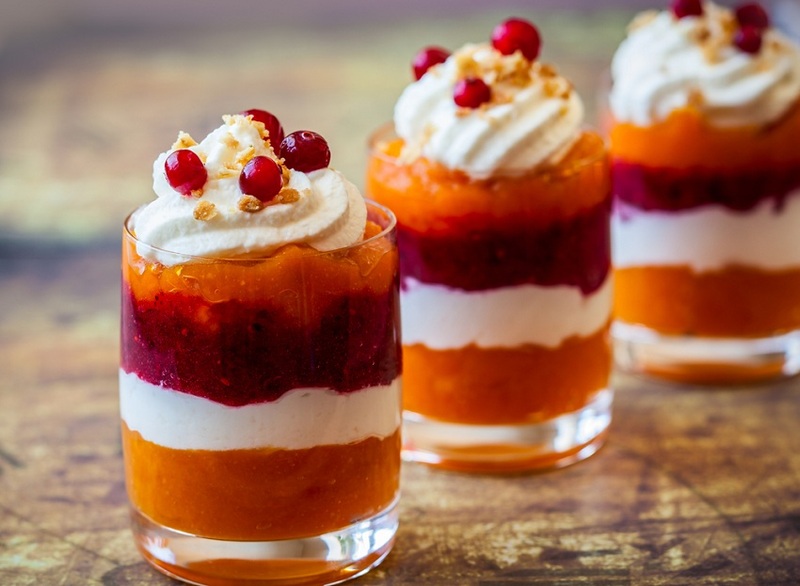 With rich pumpkin puree complimenting the sweetness of the cranberry sauce, your guests will be left wanting more. The autumn and winter flavors will mix to please all palettes finished off with a bit of sweetness in a rich cream topping. If you are looking for a unique and light ending to your wedding dinner, this is a crowd pleaser that will keep them talking. Your guests won’t be able to resist this pretty and deliciously rich mouse. 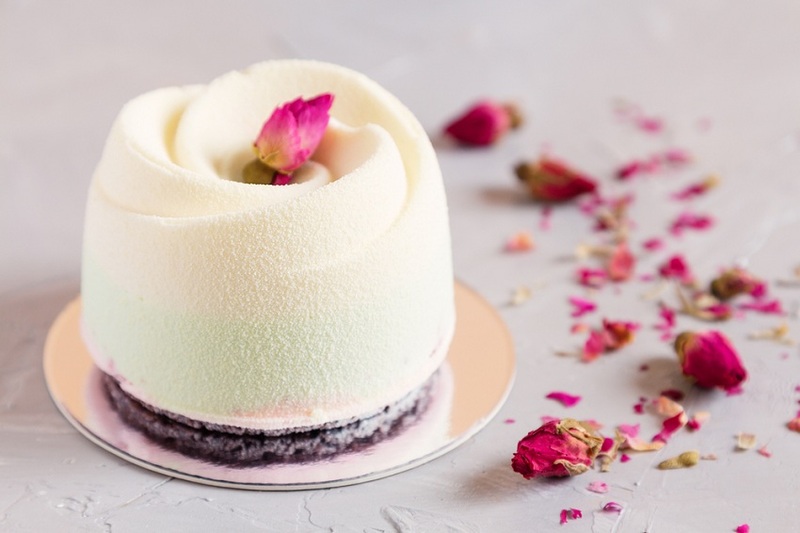 With delicate rosebud decoration and a stunning yet simple white chocolate velour coating, these individual dessert pieces are sure to the empress. Bring the elegance and glamour of your event right to the table for everyone to enjoy. These mini mousse pastries are just the right size to tempt the taste buds and add a little bit of sweetness to the occasion. Have some fun with these unique and cheeky cupcakes. Dressed up like the bride and groom these small bite-sized desserts are sure to please your guests and leave them smiling. Choose any flavor you like to compliment your dinner menu. You can serve with ice cream, sherbet or just on their own. 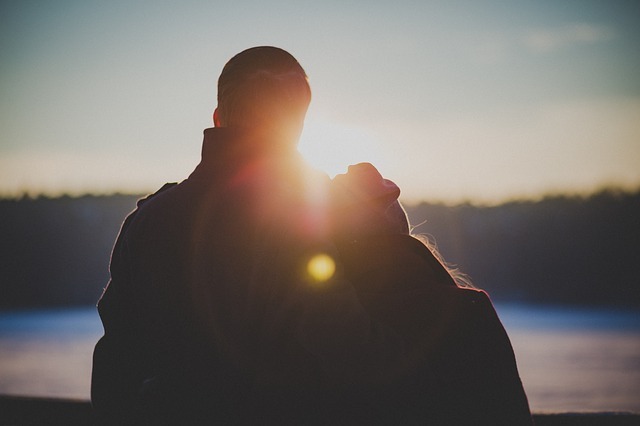 Grooms for the gentlemen and Brides for all of your ladies. With the individual servings, your guests can even take them home to enjoy later. Decorate these fun and festive jars ahead of time to get ready to serve your guests a unique and sweet treat. Choose a variety of ripe berries to add to this crumble favorite and top it off with a rich cream that will leave your guests speechless. Just the right size to add to the end of your wedding meal, the Berry Crumble dessert is as easy to prepare as it is impressive to see. You can even invite your guests to take home their jars after they have been cleaned by your wedding caterer.